Fuzzball & Scuzzball - Fuzzball & Scuzzball's First Case! 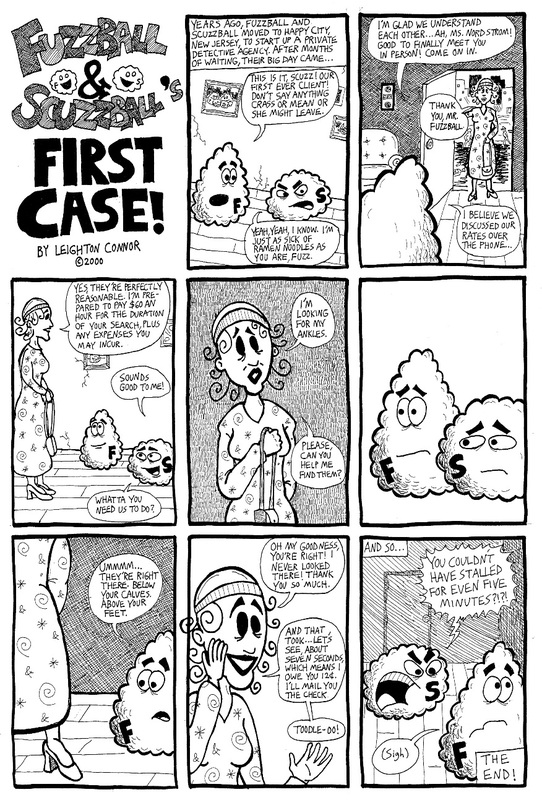 Comic 100 - Fuzzball & Scuzzball's First Case! Happy 100th episode! To celebrate, here's the story of Fuzzball & Scuzzball's first case. I drew this in 2000. I still like it, except for the lettering, which is too small.